The 2014 competition is open from the 1st February. Your chance to win a prestigious award, with cash prize of £5,000 and reach millions through national exposure. Help raise awareness about British wildlife and celebrate our natural heritage. Winners and commended entrants will have their work showcased in a touring exhibition and stunning book, and will be invited to an exclusive Awards ceremony, hosted by Naturalist and TV Presenter Chris Packham. The overall prize fund worth up to £20,000 includes products from lead sponsors Canon and Sky. The British Wildlife Photography Awards were established to recognise the talents of photographers practising in Britain, whilst at the same time highlighting the great wealth and diversity of Britain’s natural history. Now in its sixth year, this highly acclaimed and unique wildlife photography competition has captivated millions across the nation with outstanding and beautiful imagery. It is a celebration of British wildlife as well as a showcase for photographers and videographers, both amateur and professional. Images from every aspect of British wildlife are eligible. For instance marine life, animal behaviour and urban wildlife; also botanical subjects and the hidden secret world that lies in the undergrowth. This category covers all aspects of British wildlife including all animal species, all botanical subjects, underwater worlds and landscapes. The more we encourage young people to explore our countryside the more likely it is that the next generation will help to protect Britain's habitats and wildlife. Henry and the Waxwings from BWPAwards. The competition is open until 3rd May. All winners, commended entrants and photographers who feature in the book will be invited to an Awards ceremony and launch of the traveling exhibition which will take place during September 2014 at the Mall Galleries, London. The Awards will be hosted and presented by Naturalist and TV Presenter Chris Packham. 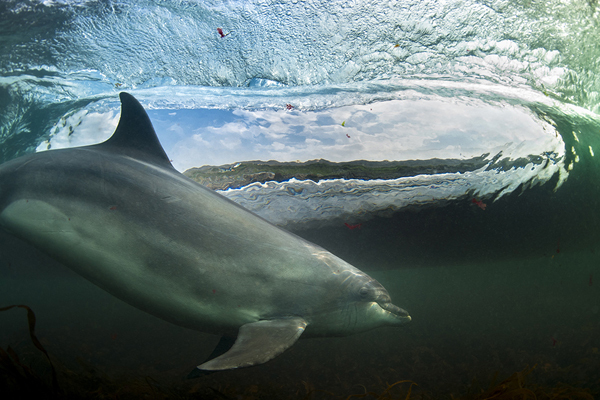 Also see: BWPA 2013 Winners Announced! and Highly Commended Films at the BWPAwards! George Karbus, for his image of a dolphin surfing entitled “In the Living Room”. BWPA Highlights of Commended Wildlife in HD Videos 2013 from BWPAwards.